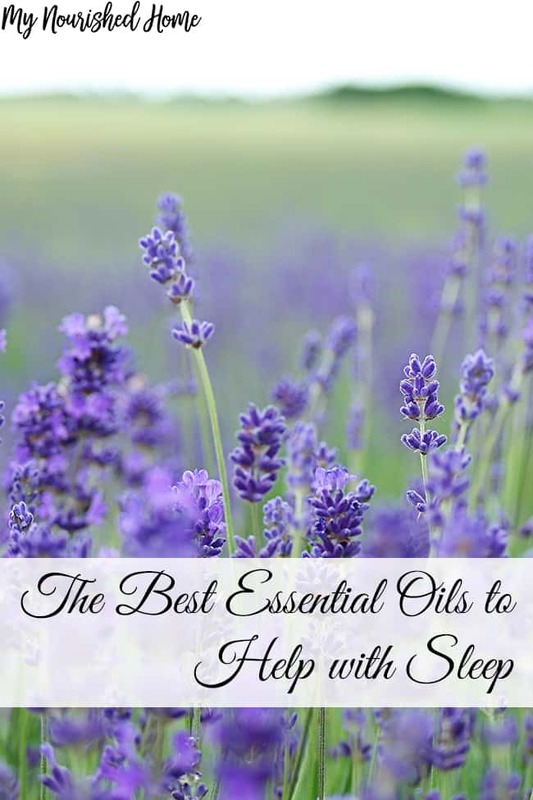 Did you know that there are essential oils for sleep? If you suffer from insomnia, an anxiety disorder, or just have kids – and falling asleep at night is difficult, you’d probably try anything to get a few better winks. Sometimes when you lead a busy life during the day, it can be hard to wind down at night. Maybe you’ve tried every trick already – you cut out the caffeine, you keep your cell phone in the other room, you dim the lights – but you still struggle to get to sleep or stay asleep at night. We figured out early on that a peaceful bedtime routine was important for our kids to fall asleep. But then I was awake all night! 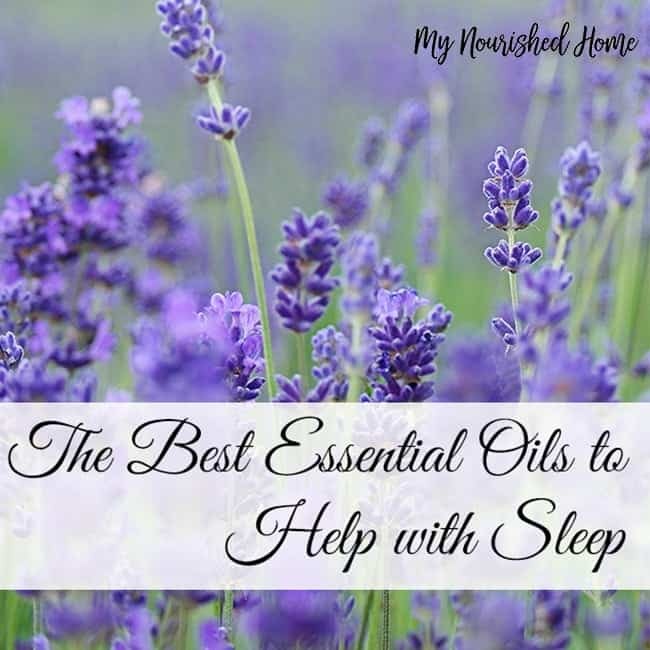 If you haven’t tried essential oils for sleep yet, then you might be missing out on a great technique to help you improve your quality of sleep. Lavender has long been known as a scent that helps with sleep. It’s in many over-the-counter products intended to help you relax and sleep better, such as lotions and baths. You’re probably not surprised to hear that lavender is good for sleep and as an essential oil, you’re getting lavender in its purest form, without any bad added chemicals. This one is a citrus-based oil and unlike most citrus fruits that have an energizing or awakening effect, this one actually helps with calming. You can use it alone or as part of a sleep blend. However, it’s important to note that this is one oil that can be very photosensitive so if you use it, you need to be careful of sun exposure. This is a very floral essential oil that some people think even has a bit of a fruity undertone. It’s very good for calming and helping you sleep. Chamomile is another one we often see in sleep aids and concoctions. Using Roman chamomile oil is a great way to soothe tense muscles and relax your mind after a long day. It’s great alone, or as part of a sleep aid blend. This is a bit different from the fruity and floral blends, as sandalwood is rich and woodsy but it’s also great for helping with sleep. It has an earthy tone that will help you relax and unwind. This is another earthy, woodsy essential oil that goes great with sandalwood or even on its own to help you relax at the end of a hectic day. It will help promote sleep and better quality of sleep. When using these essential oils to help you sleep, there are two different options you have for methods of use. First, you can apply the oil topically. Dilute them first when a carrier oil then rub into your feet or the back of your neck before bed. You can also use them as an aromatic. You can diffuse them into the room, or you can create your own pillow spray and spray the scent into the room before going to sleep. You might want to try both methods and see which works best for you. While these are all known essential oils for sleep, what works for one person may not be best for another person. Part of the process is finding which oils work best with your body. A good suggestion is to start with the one that appeals to you the most and then try it as a sleep aid. If one doesn’t work as well as you’d like, try another one.